After Chuck Knox died on May 12, newspaper obituaries painted a completely inoffensive picture of the longtime NFL head coach, who led three different teams to the playoffs over 22 years. The portrait of blue-collar grit fit neatly with the details of Knox’s biography. The son of a steelworker in a western Pennsylvania mill town, he played tackle at small Juniata College in his home state and started his coaching career there. When he made it to the pros, it was as the assistant in charge of the New York Jets’ offensive line. Yet, what virtually every posthumous tribute to Knox overlooked or downplayed was his role as a history-making risk-taker. As head coach of the Los Angeles Rams in 1974, Knox named James “Shack” Harris starting quarterback — the first time an African-American player would consistently hold that position, which was the last in pro football to be desegregated. Without Knox’s daring, who knows how many more years would have passed before that color line was broken? 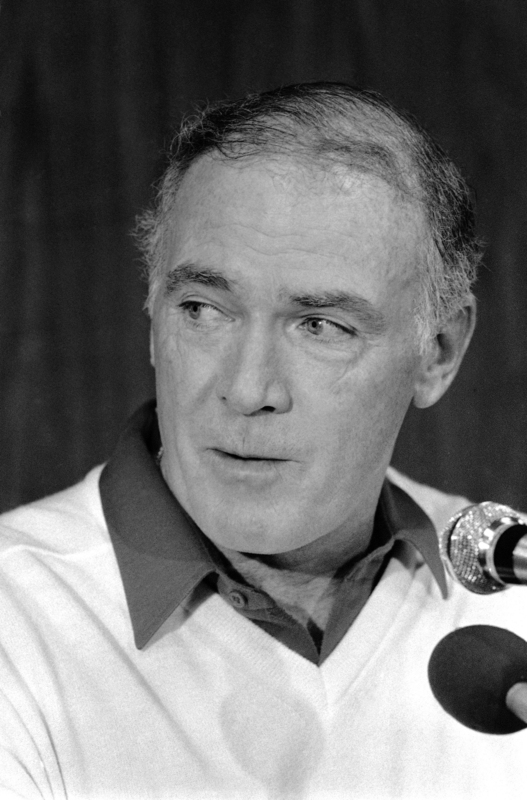 In this Dec. 31, 1983, file photo Seattle Seahawks coach Chuck Knox listens during a news conference in Miami. Knox, the veteran NFL coach who led the Seattle Seahawks for nine years and took the Los Angeles Rams to three straight NFC Championship Games, died May 12. He was 86. The chain of events that brought Harris and Knox together to make winning football and social change started in failure. In 1972, after three injury-marred seasons with the Buffalo Bills, Harris was waived and went to work for the U.S. Department of Commerce. But Harris’ college coach, the legendary Eddie Robinson of Grambling State University, appealed to another of his former stars, Paul “Tank” Younger, then a scout for the Los Angeles Rams. With a push from Younger, the Rams signed Harris to their practice squad. After a lackluster 6-7-1 season, the Rams’ front office fired head coach Tommy Prothro and brought in Knox, then just 41 years old. As a favor to his successor, Prothro passed along a set of notes on each player’s capabilities, and what he wrote about Harris was sufficient for Knox to put Harris on the regular roster in 1973. Even so, he barely played as John Hadl guided the Rams to a 12-2 record and won the United Press International news service’s NFC Player of the Year award. Then, five games into the 1974 season, Hadl faltered badly in a road game at Green Bay, completing just six of 16 passes with two interceptions. Instead of inserting a promising rookie, Ron Jaworski, Knox went for Harris. But he struggled too, completing just three passes and tossing two interceptions as the Rams lost 16-7 for a 3-2 record. But, as Knox later recounted to Wulf, with the Rams already having lost as many games as they had the entire prior season, he had to make a drastic change. 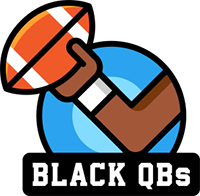 His faith in Harris paid off handsomely in the next game, as the black quarterback went 12-of-15 for 276 yards, three touchdowns and a 158.3 passer rating in a 37-14 rout of San Francisco. Two days later, the Rams traded away Hadl. Harris and Knox produced a stellar record together, with trips to the NFC Championship Game in both 1974 and 1975. In 1974, Harris led the NFC in passer rating and was chosen MVP of the Pro Bowl. Even so, hate mail and death threats poured in to him. In one case, the Rams posted security guards outside his hotel room and on the team’s sideline. Knox did all he could to calm the waters. When a knee injury sidelined Harris midway through the 1976 season, Knox could no longer protect him. The Rams’ owner, Carroll Rosenbloom, and general manager, Don Klosterman, insisted on more than a temporary replacement for Harris. They wanted him replaced, and they were in the midst of choosing one of four white quarterbacks: Jaworski, Pat Haden, Joe Namath and Vince Ferragamo. The demotion of Harris, and his ultimate trade to the San Diego Chargers in early 1977, became a major racial issue in Los Angeles. Skip Bayless, then of the Los Angeles Times, devoted a three-part series to it. African-American members of both the City Council and the state legislature advocated on Harris’ behalf, as did the leading black sportswriter in town, Brad Pye of the Los Angeles Sentinel. As Harris shipped out to San Diego, his spirits broken, he had a final conversation with Knox. “He told me he believed in my ability,” Harris recalled. Over the passing decades, the coach and quarterback spoke occasionally, and always warmly, until Knox slid into the dementia that ultimately would kill him at age 86. Knox’s legacy now is more than his 186 wins with Los Angeles, Seattle and Buffalo, more than his three NFC Coach of the Year awards. Long before anyone had given the word “woke” its current, adjectival meaning, Knox was woke enough to do something no other head coach had even done: Put the best quarterback on the field, irrespective of color, and stick with him against all the hate. Knox’s funeral service was private, but one can only hope someone made the point in a eulogy. Now, 44 years after Knox gave Harris his chance, there are many black quarterbacks in the league. But, amid the ongoing quarantine of Colin Kaepernick and Eric Reid for their political activism, where are the Chuck Knoxes in the coaching ranks? An earlier version of this story should have said Knox won a total of 186 games in Seattle, Los Angeles and Buffalo. He was the offensive line coach in Detroit, not the head coach.